We can help! Come and learn about new laws, pesky regulations, and other factors in public financing in this one day seminar! After more than 20 years in the world of revenue generation for public agencies we are focused now more than ever on funding the future with unique and well developed methods. Join us for a full day of education; from land secured financing, cost allocation and water rates to Public Private Partnerships. Our industry experts will provide new insight on tried and true revenue generating mechanisms. Each seminar is a one-day seminar in a single location. Registration begins at 8:30am and lunch is provided by NBS on-site. The conclusion of the seminar will be approximately 3:30pm-4pm. There may be additional, optional tours of event following the seminar depending on the topic and year. 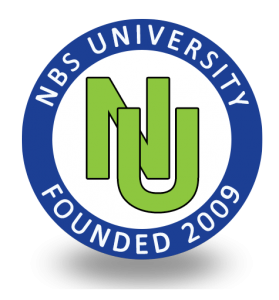 NBS University features a guest speaker who is relevant and knowledgeable in the field of public financing and up-to-date laws. They will give insight into their experience in the field and share their personal wisdom on dealing with today’s most prevalent issues in public financing. 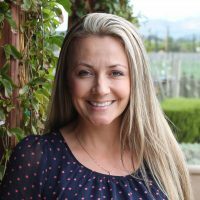 Danielle Wood is an associate director with a 14 year history with NBS. Over that time, her areas of concentration spanned special financing district administration, special project and team management, assessment levies, etc. Currently, she applies her talents to client relationship management and communications for all NBS service areas. She is the host and moderator for NBS University and feels that the best way to grow our business is to help others achieve their community goals. The workshop is directed primarily at local government staff involved in financial decisions (i.e. almost everyone!). Individuals, experienced as well as newly hired, are encouraged to attend. This would include, but not be limited to: city/general personnel, managers, finance directors, public works directors, utility staff, department heads, engineers, accountants, debt administrators, administrative assistants, clerks, and more! Attendee will receive a Certificate of Completion in PDF format following the seminar. With your certificate, you may claim a total of four (4) hours of Continuing Education (CE) with the California Board of Accountancy. The registration fee is $85 per person if registered during standard registration dates. Late and onsite registration will be accepted on a space available basis only at a fee of $110 per person. Deadlines will be announced once we’ve booked the next venues!